This is the most common species of water flea. It has a cosmopolitan distribution, and are found throughout the Americas, Europe and Australia. 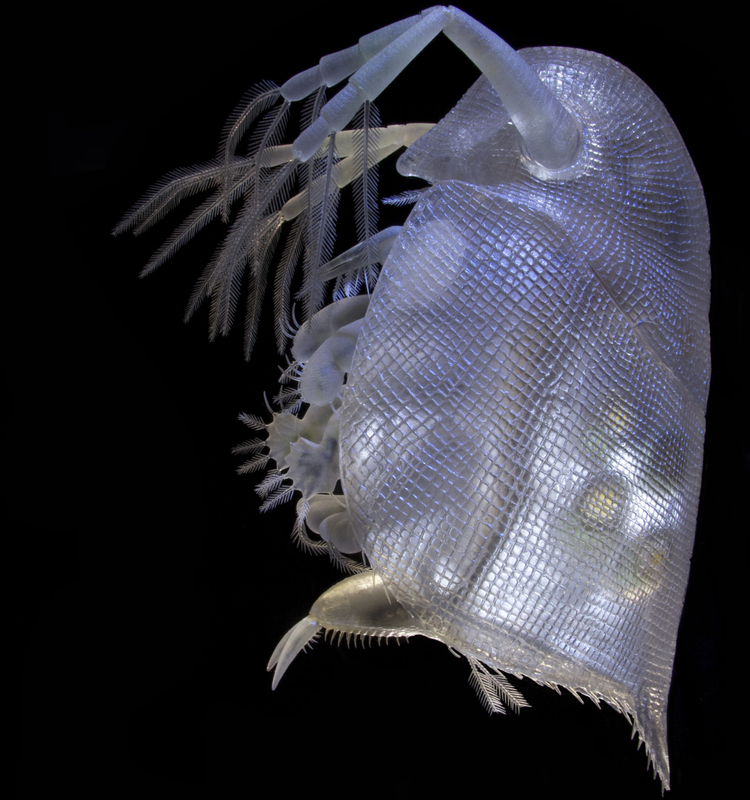 It is also a widely used model species, and was the first crustacean to have its whole genome sequenced. 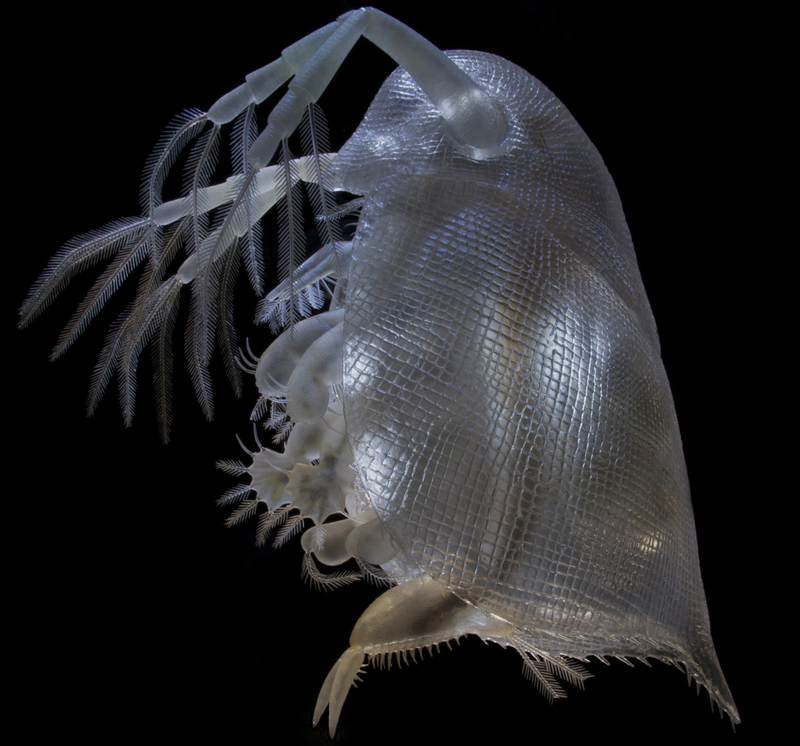 It is a very peculiar little water flea, whose body segments are difficult to distinguish. They can only be recognised by the appendages they bear, and by studying the internal anatomy. The head is distinct and is made up of six segments which are fused together even as an embryo. It bears the mouthparts, and two pairs of antennae, the second of which are enlarged into powerful organs used for swimming There is no clear division between thorax and abdomen, which collectively bear five pairs of appendages. The shell surrounding the animal extends posteriorly into a long or short spine, depending on where it is. The morphology of D. pulex exhibits a tremendous plastic response to the presence of predators. 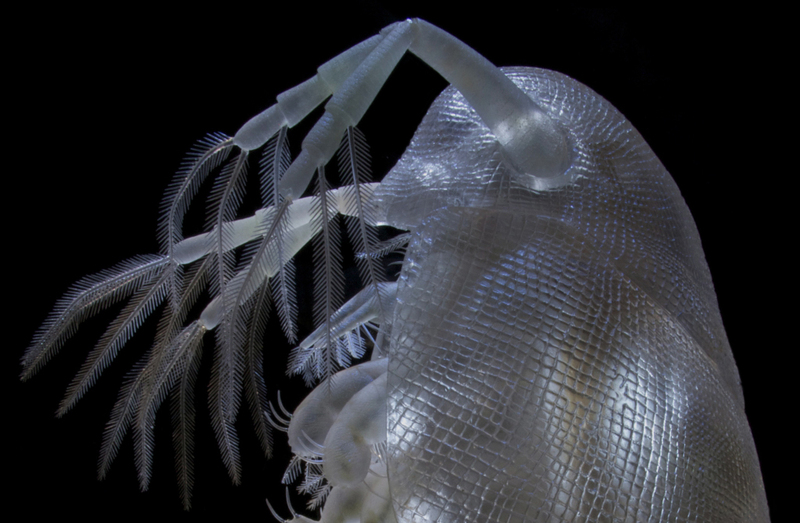 Phantom midge larvae eats these water fleas, but when nearby they release a chemical cue – this cue induce the development of small jagged protrusions known as “neck-teeth” on the head of the water flea, making them much more difficult to eat! Neck-teeth increase survivorship in the presence of the invertebrate predator, but there are costs – longer development time, for example.